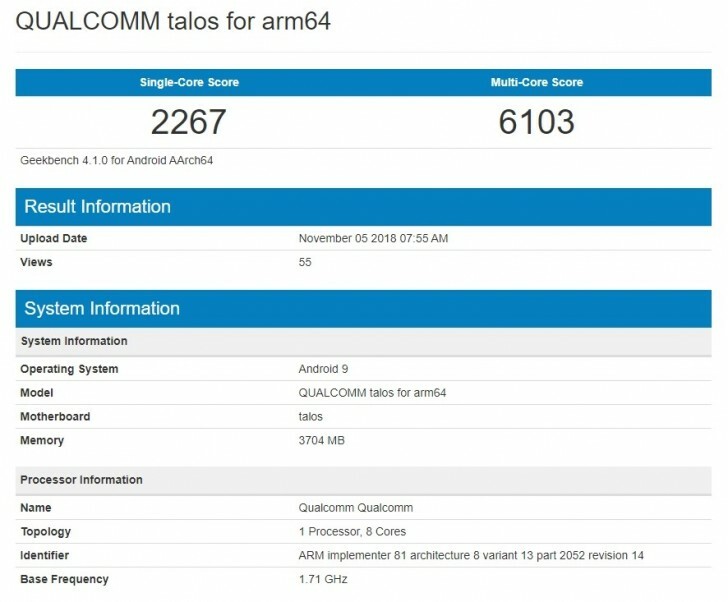 Today there was a test on Geekbench that showcased a phone powered by the new chipset, although we still don't know what this mysterious phone is. All we know for now is that this devices runs on Android 9.0 Pie and it has 4GB of RAM. We also know that this chipset uses two Cortex A76 cores clocked at 2GHz of RAM and six Cortex A55 cores clocked at 1.78GHz which are used for less demanding tasks. Snapdragon 675 supports QuickCharge 4.0 ultra fast charging technology. Qualcomm claims that the new chipset is optimized for high performance gameplay, but this is still left to be proven in the real world.